Home LABOR & DELIVERY How to Deal with Early Signs of Labor? 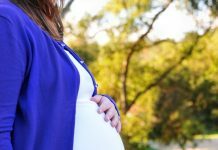 How to Deal with Early Signs of Labor? No matter how many children you had before, the early signs of labor are always an anticipated aspect of pregnancy. No matter how advanced the technology used in the medical field is, the doctors are still unable to predict the moment precisely when women enter labor. In the majority of the cases, women experience some special changes as labor draws closer. This is because the body is already preparing for childbirth. Nonetheless keep in mind that these signs could starts days or even weeks before labor actually starts. Usually this isn’t considered to be one of the signs of early labor, but it is said that the hormones make women prepare the ‘nest’ for the baby. Women say that they feel a sudden urge to clean, wash and iron the clothes of the baby or to decorate and organize the room of the little one. Nonetheless they should try not to overdo it. 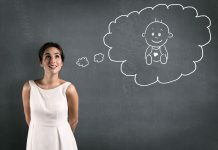 The truth about this one of the early signs of labor is that women experience the contractions during the entire time of their pregnancy, but these become more intense as the big day comes closer. Although women could get used to them, they should be taken seriously at the end of the pregnancy. In order for things to go smoothly at birth, the baby descends into the pelvic area. Some women say that it is one of the symptoms of labor to feel this happen. In other cases the change isn’t that dramatic. One of the most important signs is a feeling of heaviness in the pelvis. Women can’t really see these signs of early labor, but the doctors monitor the changes of the cervix during the last weeks of pregnancy. Some women don’t start dilating until labor actually begins, while others could start dilating weeks before it happens. Although this is an important symptom, it isn’t really accurate. One of the most obvious early signs of labor is losing the mucus plug. This acted as a seal of the cervix during the pregnancy. Women could lose it suddenly or slowly over a period of time. After this there is a noticeable change in the amount of vaginal discharge. The mucus plug could be tinted with blood. Although you may think otherwise, this one of the symptoms of labor usually takes place in the hospital right before labor starts, contrary to what women could see in movies. When the amniotic sac ruptures there could be a steady trickle or a gush of water. This depends on the position of the mother and of the baby. This is one of the surest signs of early labor. As labor begins the contractions will become more intense and they will last longer in time. These are different from the Braxton Hicks contractions and they are also accompanied by sharp pain in the back as well. The pain doesn’t get better if women change position. It is one of the early signs of labor if women aren’t able to talk anymore while they are having the contractions. It is a good idea to measure the time between two contractions. If women have contractions every five minutes, it is very likely that they are truly in labor. In case the symptoms of labor occur before the 37th week, it is important to contact the doctor and to make sure that these are really the signs of early labor because it might mean that you have a pre-term labor.